The City of Lafayette is always working to provide safe and efficient transportation options for those living and traveling to Lafayette for both work and play. A major accomplishment toward this effort was the agreement signed by the City of Lafayette to take control of highway US 52 (Sagamore Parkway) between Schuyler Avenue to Main Street, from the Indiana Department of Transportation in 2012. The agreement gives Lafayette the freedom and funds, to make improvements to Sagamore Parkway that best benefit the community. 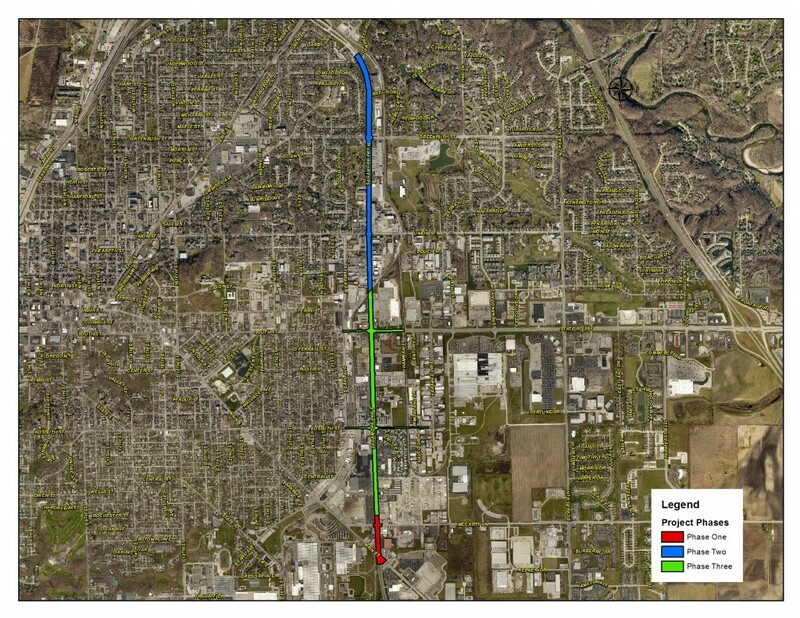 • Sagamore Phase 1 – Reconstruction of Sagamore Parkway from Main Street to McCarty Avenue. This project includes the intersections of Main Street and McCarty Lane. Substantial Construction Completion was in late 2016, with some incidental work to be finalized in the spring of 2017. • Sagamore Phase 2 – Reconstruction of Sagamore Parkway from Beech Street south to the railroad crossing (north of South Street). This project includes the intersections of Greenbush Street and Union Street. Substantial Construction Completion was in late 2016. Follow this link to see an animation of the SAGAMORE PKWY PHASE 2 ANIMATION. • Sagamore Phase 3 – Reconstruction of Sagamore Parkway from the railroad crossing (north of South Street), south to McCarty Lane. This project includes the intersections of South Street and Kossuth Street. Substantial Construction Completion was Fall of 2018. Follow this link to see an animation of the SAGAMORE PKWY PHASE 3 ANIMATION. In the three phases of Sagamore Parkway construction, improvements will include new pavement, improved drainage, multi-use trail, sidewalks, roadway lighting, intersection improvements, traffic signal replacement, and safer access to and from businesses.